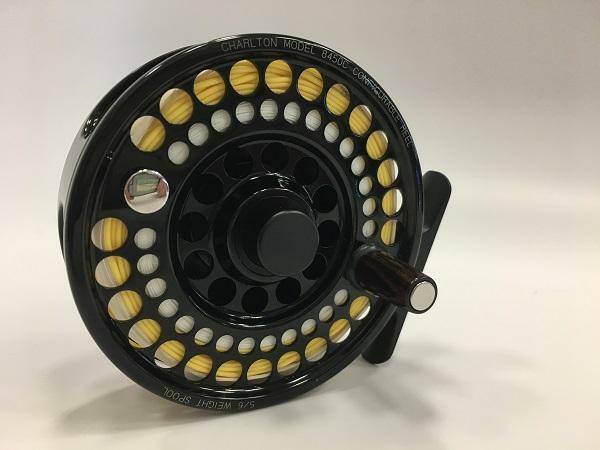 Description: The 8450 was one of the most popular reels Charlton made, and this one was in the hands of the man himself. 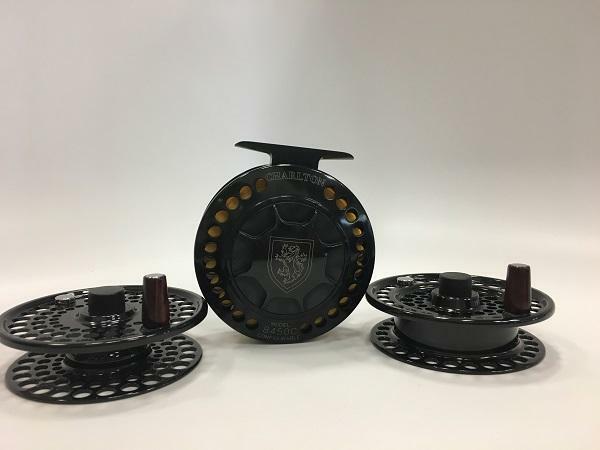 There isn’t a signature on this reel, it doesn’t have a low serial number, but it was owned and fished by Jack. 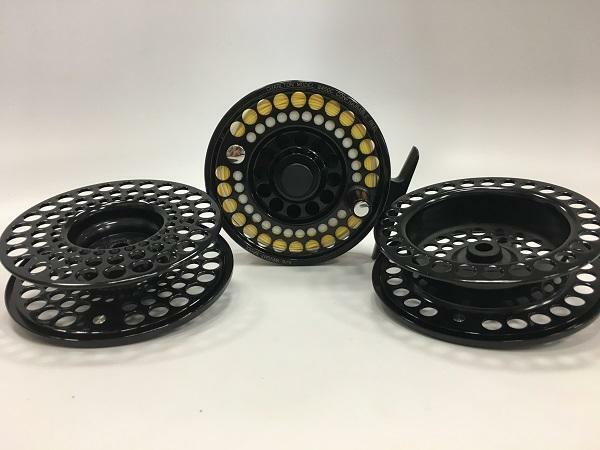 Judy Charlton has included photograph of Jack fishing this reel, and it is as he left it. There’s a line on it (affixed with a rubber band) and backing. 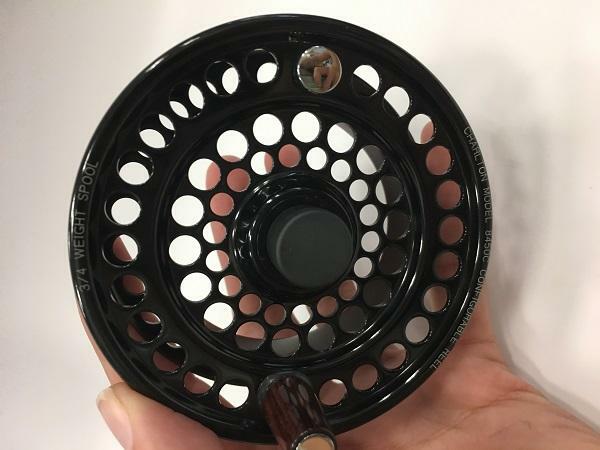 Mechanically, the reel is perfect. 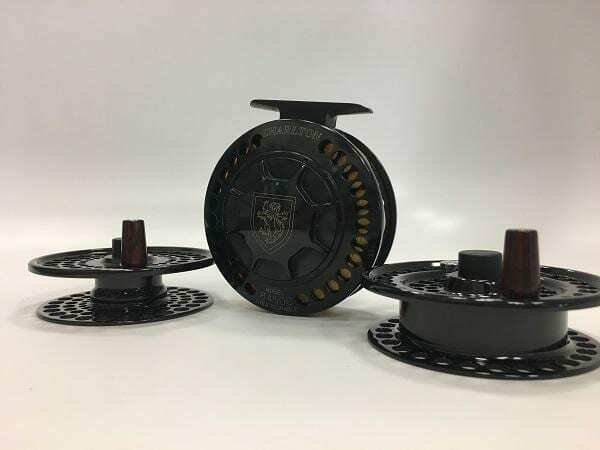 The spare spools come in boxes (original Charlton boxes, though blank without any Charlton stickers on them) and are wrapped in tissue paper. The frame and 5/6 spool is rigged in the signature green cordura pouch.